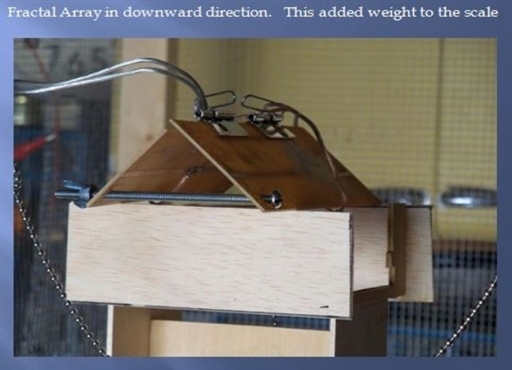 The purpose of Experiment # 5 was to show displacement on a mechanical scale. No other force but the Fractal Array would be present and or indicated. The resulting displacement if any of the scale would be observed. 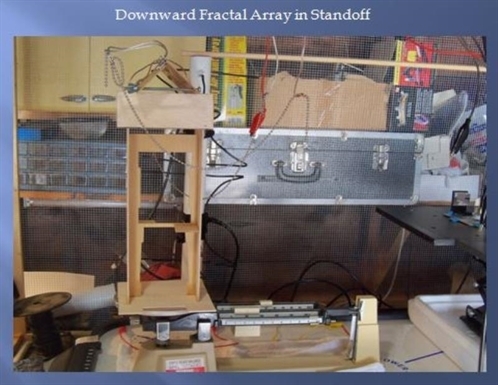 After the initial results were found a laser was put in the bottom of the Fractal Array standoff and additional displacement measurements were also made and complied. A Mass/Power graph was created depicting the results. 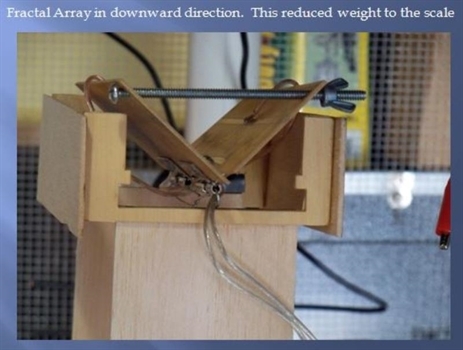 1- Positioning the fractal array in a downward direction, on the triple beam balance added weight to the scale. 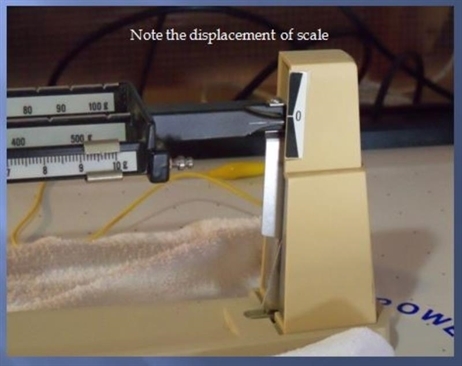 2- A laser was added to the array standoff and in addition to the offset of the scale a displacement measurement was taken from the fringe pattern of the laser. 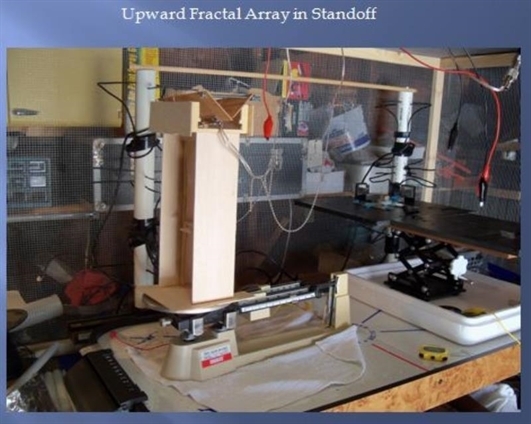 3- Positioning the fractal array in an upward direction, on the triple beam balance reduced weight to the scale. 4- A laser was added to the array standoff and in addition to the offset of the scale a displacement measurement was taken from the fringe pattern of the laser. 5- The experiment was run at various power levels with proportioned results. 6- A Mass versus Power graph has been complied for the Fractal Array and Triple-beam Balance lab experiments.